NAS – Network Attached Storage – can be a cost-effective means of shared storage for a small business without the expense of a server. Usually a NAS is a case containing 1-8 standard disk drives; we recommend at least 2 in a mirrored configuration so that if one drive fails the other one still safely retains your data. 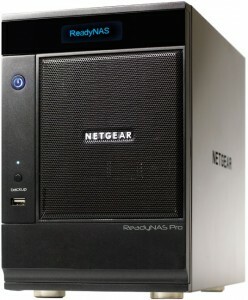 A NAS is connected to your network, plugged in to your router or possibly wirelessly connected, and can function as shared storage or as a backup repository. Other advantages of a NAS include large capacity, fast access times, and security – access to data can be controlled for specific users. OJ Networks works with a range of brands and models, including Netgear, Thecus, Iomega, Apple Time Machine, and Seagate. We can advise you on the best NAS solution for your business as well as supply and configure the equipment – if it is feasible we also repair them! Contact OJ Networks for help with your data storage needs.